Born April 21, 1941, in Sioux City, Iowa; Green was a slick-fielding second baseman for the Kansas City and Oakland Athletics for 12 years (1963-74), almost all of them as a starter. The 5-foot-10, 180-pounder hit .240 for his career. 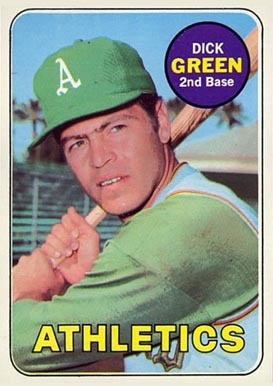 His best season was 1969, when he hit .275 with 12 home runs and 64 RBI for Oakland. 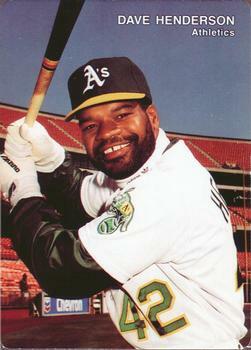 Was a key member of the Oakland dynasty that won World Series titles in 1972, ’73 and ’74. Hit .333 (6-for-18) in the 1972 Series. Mr. Green recently sent me these responses to some questions in the mail. They seemed that they were done in haste, so I posted the video below that speaks for itself. What are your thoughts on Charlie Finley? The 70’s Oakland Athletics were known for their brawls with team-mates in the clubhouse. Were you ever involved? Mark Ellis broke your record for most homers by a second baseman in club history-were you disappointed? I wasn’t disappointed, Mark is a terrific person and a great ballplayer. Hal McRae and Johnny Bench had some vicious slides against you in the 1972 World Series. What are your thoughts?